As we noted in our Autumn Statement Briefing document  the recent Autumn Statement didn’t actually contain all of the new Company Car Tax (CCT) rates that it proposed for 2020-21. It described the new system that will be in place from April 2020, without giving us all the detail. Whilst those with emissions between 51g/km and 74g/km will occupy bands that vary from 15% to 19%. What does this mean? In short, that ULEVs will become more economical. 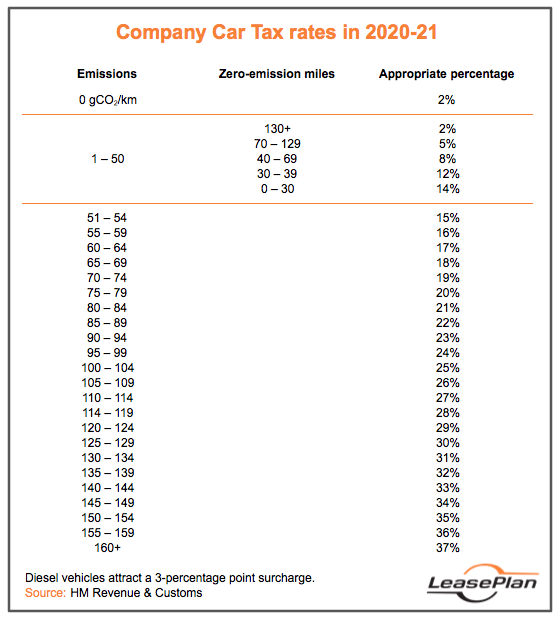 Every single company car with CO2 emissions of below 75g/km will face lower – or, at worst, the same – rates than they did in 2019-20. Meanwhile, the rates for those with emissions over 90g/km will all increase by 1 percentage point, to a maximum of 37%. As so, when it comes to CCT, as well as other areas,  there are now more incentives to considers ULEVs. The Government’s policy is going greener – perhaps fleet policies should too.